This topic contains 26 replies, has 9 voices, and was last updated by telzy amber 1 month, 2 weeks ago. Packing all my stuff to get ready to sell our house and I am astounded at the volume my 28mm terrain takes up, even can mpared to the figures. With all of the availability, I am tempted to down scale to 15mm. 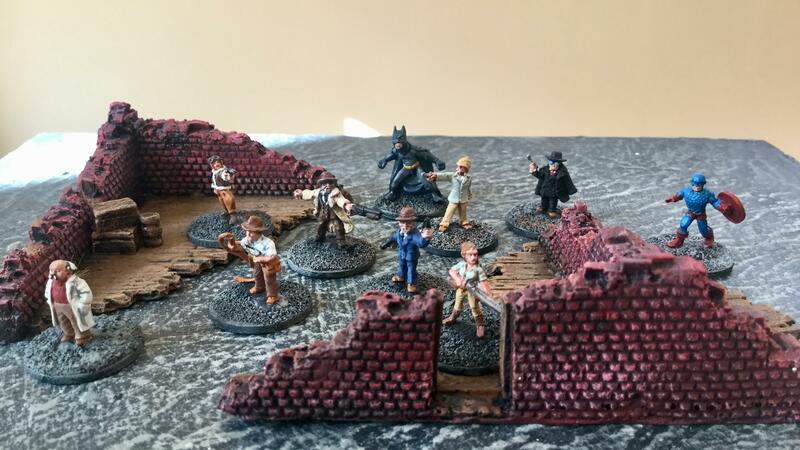 Between Blue Moon and Rebel Minis I should be able to do all the Pulp and Victorian adventure gaming I want with probably 30% of the storage space. How do Blue Moon and Rebel minis mix? I love my Bob Murch figures but the terrain storage is killing me! 15mm is the new 6mm, which was the new black. And the guy below on the left makes a great space rocket commander (apologies for the quality of the pictures , they are taken from the Minifigs website and they are about as good at photography as I am). 15 mm doesn’t have a large number of Pulp lines but it can be done as that is what I’m doing. Blue Moon and Rebel miniatures have good lines. Ok, my wife talked me out of it… She likes 28mm Doc Savage and Poirot. A momentary lapse, hopefully, this is the last time I pack and move all my crap. I do have considerably less stuff than 5 years ago, so my reduction has had tangible effects. Mike, you made me laugh as I have sold off every other 28mm except for my pulp and Victorian stuff and gone 3mm / 6mm / 10mm. 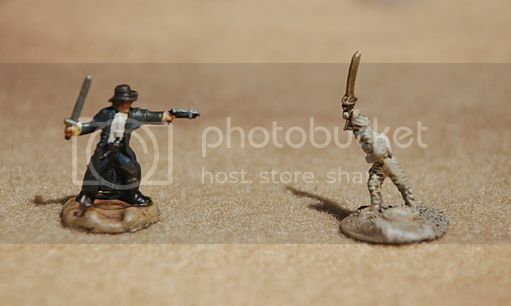 See, I am know thinking about some 15mm Pulp Heroes. Any suggestions for pulp adventurer types? Blue Moon, Khsura(sp) and Rebel Minis. Any others out there at all? Blue Moon seem the most promising at the mo. 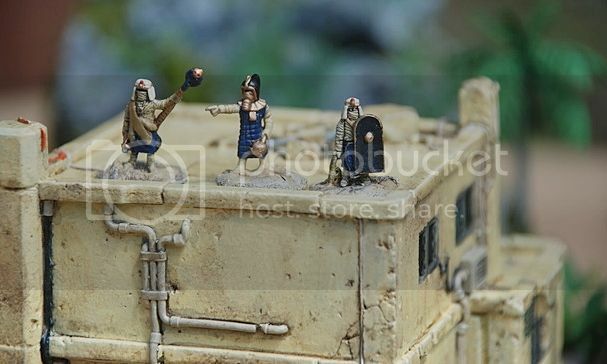 I like Khurasan and Rebel miniatures. They have all the well known characters in the Pulp genre. Ok, maybe it is the time of year, but I am tempted again to down scale. It would mean a 2/3’s ish the space footprint for storing terrain and figures. What is the availability of cheap planes, cars, and boats in this scale? I have a lot of lido stuff right now for 28mm. Armaments In Miniature AIM make lots of 1/100 aircraft Peter Pig and Minifigs make some WW1 ish cars and trucks. Zvezda plastic kits for around $9 OZ. Pre war tanks and trucks. The GAZ truck is a straight copy of the Ford AA truck. 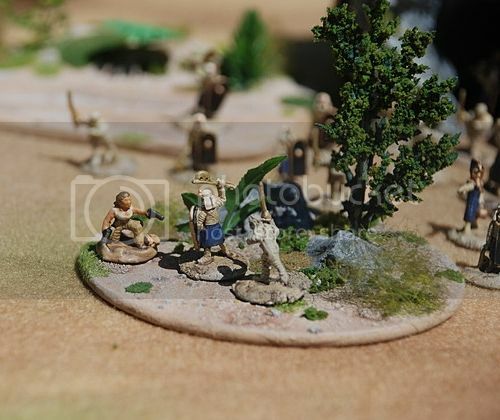 Peter Pig, QRF and Battlefront all have suitable 1930’s vehicles in their ranges. Some of the HO model railway ranges have appropriate vehicles too, as well as having a lot of suitable buildings. The Peter Pig AK47, WWII and SCW ranges (in particular) also have useful figures. Minarons have some SCW armoured cars etc that have Pulp applications. This reply was modified 2 months, 1 week ago by Etranger. 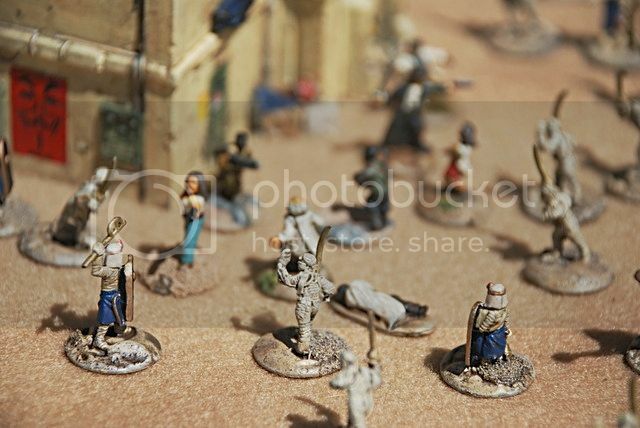 Alright, I am having a crisis of conscience, as I have a large 28mm collection, it just takes up so much %#^@&# room to store, especially the terrain. 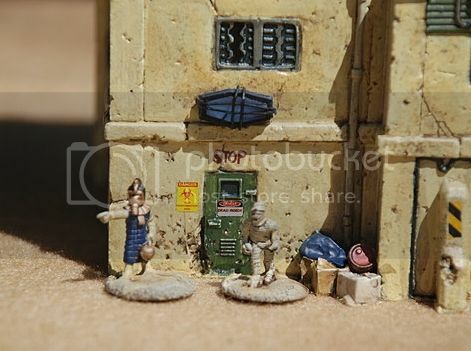 I would basically be selling off 28mm and replacing with 15mm, so a net zero cost, but the painting time is high. Thoughts? 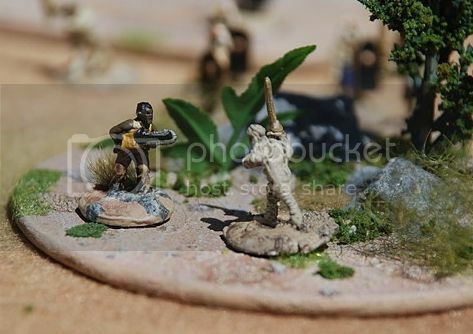 Anyone have pictures of 15mm pulp games to inspire me and maybe push me over the edge? 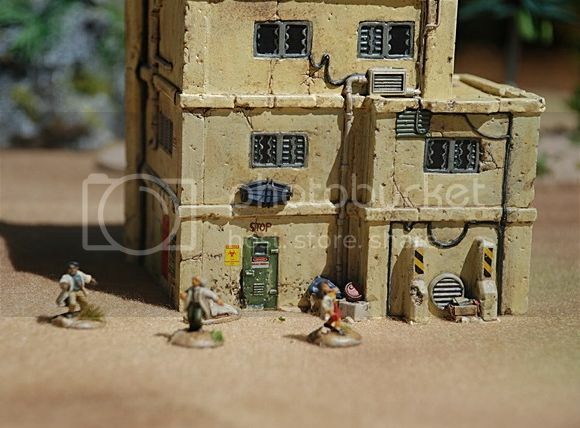 One of the nice things about 15 mm is a smaller footprint for terrain storage. All my Battlefront WW2 buildings can work for ’20s ’30s 40’s Pulp. So I have dual use. I’m tempted but I suspect that Blue Moon, with their wide selection, do not work well with Rebel or Khurasan. Are there any photos comparing different 15mm Pulp lines? 15mm Pulp figures I’m tempted but I suspect that Blue Moon, with their wide selection, do not work well with Rebel or Khurasan. Because of size? I ask, because I’m second-guessing myself over remembering having read that Blue Moon 15mm figures are particularly large. Blue Moon is 18 mm but I still mix them with the others and it looks ok.
Just had some Blue Moon turn up, they are 15mm or 16mm to the shoulders, making them in some cases 20mm to the top of the head/hat. Any chance for a comparison photo, at your convenience of course? Will do, not got much 15mm to compare them with, but will knock something up later. I didn’t strictly mean true 15mm, just anything in the general 15-18mm range. Do you define your own products as more like 18mm then? For my own part I’m mainly interested to know if Blue Moon 15s mix well with other “big 15mm” and “average 18mm” figures, or if they’re even bigger like, say, Battle Valor. Do you define your own products as more like 18mm then? The thing about my stuff is that I use a couple of sculptors which will create disparity. But also, I ask that main hero types be 18mm and the normal NPC types be 15mm, and soldier types be somewhere in the middle. I would say Blue Moon are 18mm. But I will let Mike post some images later…. Thanks. Hope they’ll work out for you. Speaking as someone who may or may not be taking up 15mm pulp as well (now that I’ve realised the pickings aren’t as slim as I had previously thought), I’ll keep weighing my options. I like the Blue Moon toys but they are on the Heroic 18 end of the line. Still they do some very nice sets, perhaps enough to play with only Blue Moon figures? For example the Horror line is Victorian but the Boxer Rebellion line has an additional set of upper class Victorian civilians for a larger variety. I like civilians in Pulp they just seem they should be part of the game. The Boxer Rebellion line also has Chinese civilians in case you wish a Chinatown. The Old West line has a Townspeople and a Saloon set. While not all the figures in those sets could be used in Britain some of the Townspeople would make nice clerks, some would make labourers and, with a bit of modification, perhaps a few more. The Deep Dark Africa line has Tarzan and Jane plus a large Gorilla along with an immense line of various African tribes, Great White Hunters, porters, villagers, missionaries, witch doctors, Askaris, depending on your period you could use WW1 British or some of the British colonial army. French Foreign Legionaries! Arabs! Of course you would need Arab civilians… there are some in the Horror line. Three Musketeers and the ECW, especially the ECW civilians, would work. Noir is a bit more limited, The Night Chicago Died, with some civilians, mobsters, G-men again some of the Old West as labourers.